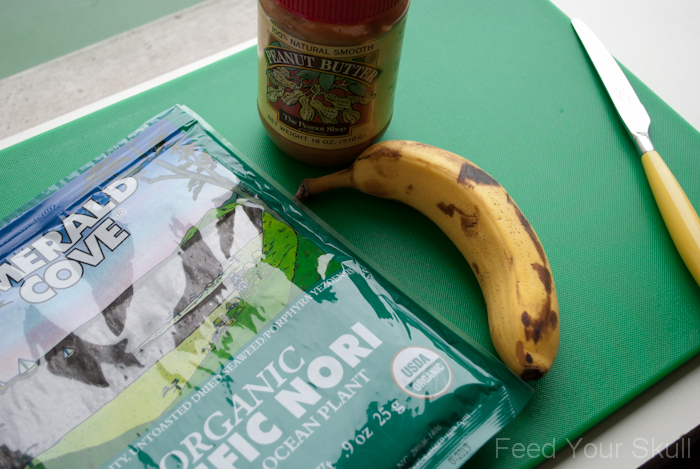 An easy but unique snack that might even make you love nori, if you don’t already, that is. 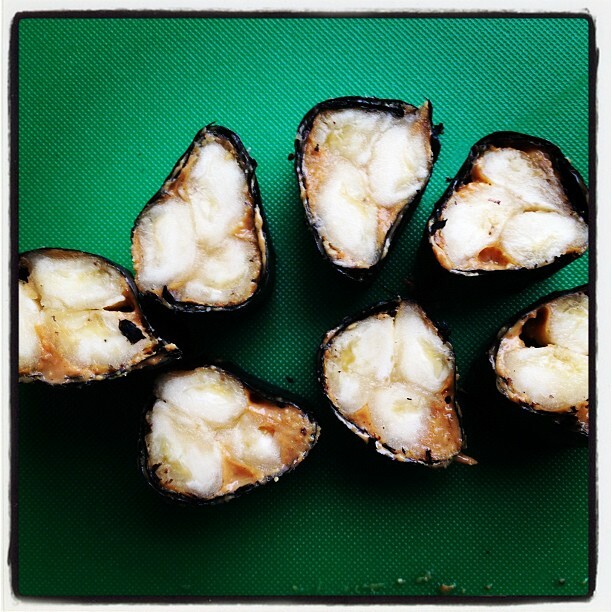 Peanut Butter Banana Nori Rolls. 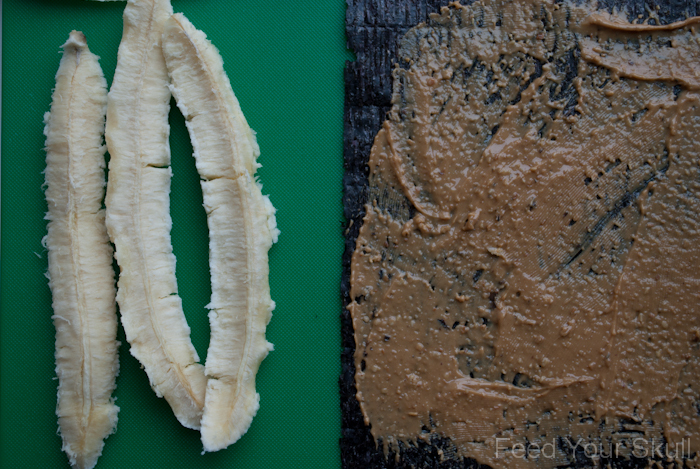 You’ll just need three relatively simple ingredients: nori, banana, and a natural nut butter of your choosing. The nori is the relatively easy part. You can order this online or go to an Asian grocery store OR even a natural health food store – like Whole Foods – they will be near the dried seaweed. I bought mine at Whole Foods and I’m pretty sure the cost was less than $6. Win. 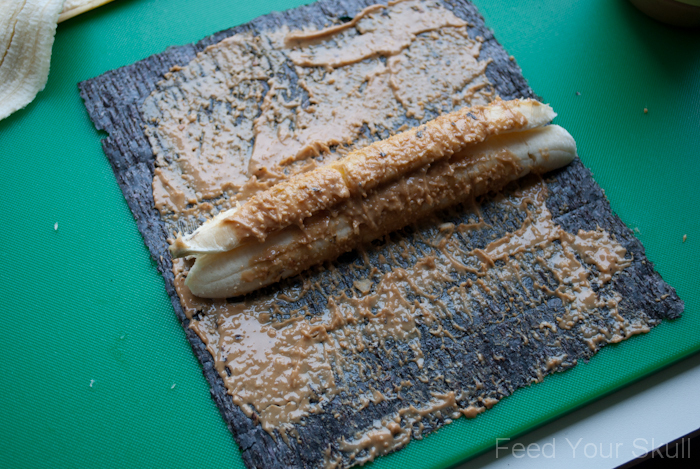 Start by laying out your nori, shiny side down, and split your banana along nature’s seams (or not – up to you – if you do want to, just press down on the banana and it will start to separate), and spread about a tablespoon or less of natural nut butter on the nori sheet. 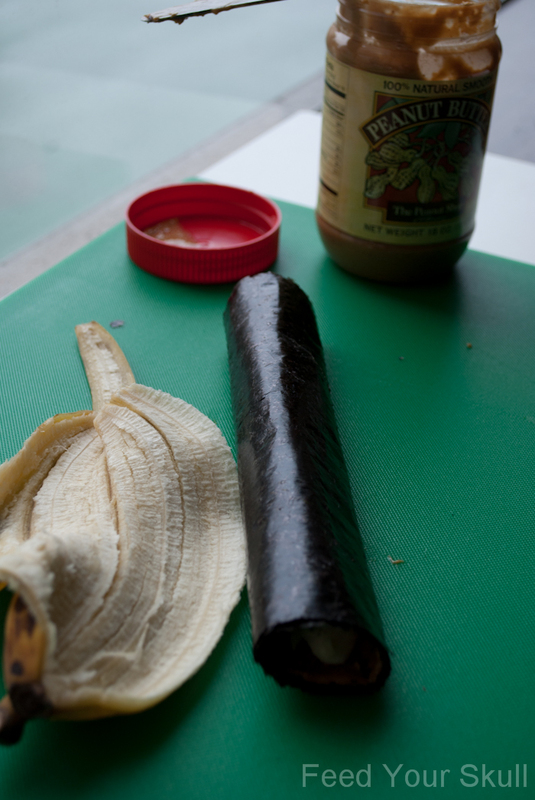 Place bananas in the center or near the edge and roll up the nori. Allow to sit for 5-10 minutes, this helps the nori soften just a little bit which will help the pieces hold their shape. Cut slices with a sharp knife in 1″ increments. Wicked! I’ve had this idea in my mind for a while, I’m so glad I found someone on the same wavelength!